Bitcoin Football - Top 3 Bitcoin Football Sites Revealed for 2017 -2018 Season! Quickly learn how easy it is to bet on all your favorite football teams with Bitcoin. See why Bitcoin is the future for online sportsbooks when it comes to wagering on football, and find out which online sites accept and embrace the use of Bitcoin for the upcoming football season. Bitcoin football is just a term used by the sports books that refers to those betting on football that made their deposits to the site with Bitcoin. Of course the bets on the games are all made in U.S. dollars, but the initial deposits were by Bitcoin. Once Bitcoin has been deposited onto the site of choice, the funds are converted into cash / U.S. dollars for the player to use as he or she feels. So there’s no need to worry that Bitcoin football is some totally new and different sport that you have to learn before you can start betting on it. You might see this term used throughout the page periodically, and now that you know what it is, won’t be alarmed. 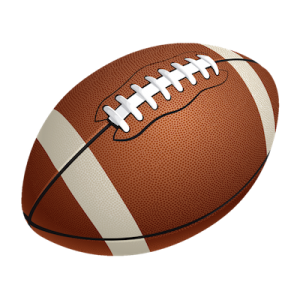 Whether you’re a college football fanatic or a long time professional team supporter, you’ll be able to sweat all the action when you have a little skin in the game yourself. The 3 sportsbooks below are tops in their field when it comes to Reputation, Reliability, being Bitcoin friendly, and offer generous welcome bonuses for those depositing with Bitcoin. Football is the most popular sport with bettors, so try to educate yourself a little before diving in. When betting on football there are many options for betting to choose from. You can make money line bets, spread bets, points bets, and a plethora of different prop bets made available. If you’re unfamiliar with what any of these bets mean or entail, we explain each of these in detail on our Bitcoin Sportsbook page. Fundamentals : This basically takes into consideration 1 teams strengths versus the other teams weaknesses. For example, you notice that all of the ” Cowboys ” receivers are tall and fast opposed to the ” Giants ” cornerbacks that are short and slow. This is a scenario in which this mismatch may lead to a big point spread for the Cowboys. Statistics : Using statistical data, you can determine which team or player is better at any particular skill than the opposing team or player. For example, the ” Steelers ” have the best rate of causing their opponents to turn over the ball when playing a running based team. Or maybe that the ” Dolphins ” quarterback throws an average of 3 interceptions a game that all leads to opposing team points. Technical : This is information having to do with trends. Basically you’re looking for situations where teams or players tend to not perform up to par. For example, the ” Patriots ” never cover the spread when facing opponents away and the weather is above 70*. This might just be the information needed to make the correct winning wager. Avoid the sucker bets : Also known as prop bets, these high paying bets should be avoided like the plague. Yes they have big payoffs if hit, but the truth of the matter is that they most likely won’t hit. If you’re serious about making money and profit, keep these bets out of your wheelhouse! Know your sport : Don’t bet a lot of money on sports or teams that you are not familiar with. It’s not that you can’t win these bets, it’s just that you’re probably not getting your money in the best way possible. If all your knowledge lies in football, don’t risk to much on badminton, lol. Money Management : The key to season long profit is to manage your bankroll correctly. Make sure your bankroll can support the many swings that a long season can produce. Online sportsbooks offer welcome and deposit bonuses for those players using their site to bet on football. This is especially true for those making deposits with Bitcoin. These bonuses could reach into the thousands and can greatly increase your bottom line throughout the long season. This is another key reason for us spreading the word about bitcoin football. Because each online sportsbook may offer slightly different betting lines on the same football game, it’s important to check the different sites to see which is the most attractive. The difference in just a half of point can make the difference between winning and losing your bet. A half point here and a half point there will really add up over a long season and greatly add value to your profit margin and bottom line. I recommend having accounts with 2 – 3 different online Bitcoin sportsbooks to bounce back and forth with. Hopefully now you’ve learned everything you need to know about how and where to use your Bitcoin to bet on football this 2017 – 2018 season. Of course there’s still lots to learn about betting football, and most of it you’ll learn and fine tune as you go. Whether it’s pro ball or college games, our Top 3 list of online sportsbooks will treat you right with generous deposit bonuses and easy to use interfaces. Remember to that you will make some mistakes and it’s hard to win every bet, so have fun and keep it simple until you become an experienced pro.